After 75 years of experience in the construction of machinery for the meat industry and the production of steam generators, we continue to advance, driven by the know-how accumulated over this period of time. Here at BIGAS ALSINA, S.A. we have a highly specialised areas dedicated to working with iron and stainless steel. Our design, study and project preparation department is made up of highly skilled staff and also takes advantage of the experience accumulated during all these years. At BIGAS ALSINA, S.A. we are aware that among all of us, we have to construct a sustainable world, and we progress along this path in order for industry to constantly further its commitment to respect for the environment. As a result, most of our projects are related to machinery for the transformation of originating from nature; thank to this, we study and learn from nature -in a certain manner, we wuold even say that we imitate it- and in this way we continue to learn. BIGAS ALSINA, S.A. was founded at the start of the 20th century in Girona. 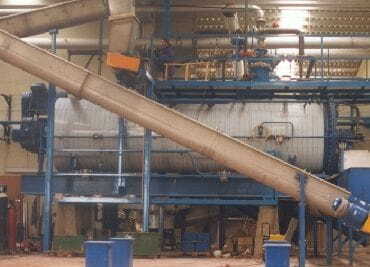 It started as a small boiler making workshop, manufacturing steam generators and pressure vessels. It soon became linked to the meat processing companies which still exists today close to the business. 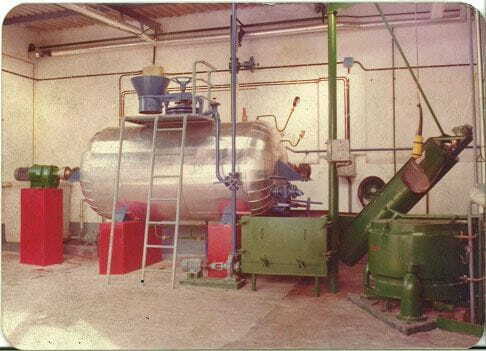 Together with these industries, BIGAS ALSINA, S.A. developed machinery which could adapt to the different needs that emerged, and it soon learned to adapt to changes, some of them important which often affect the meat processing sector. This link has remained placed until the present day, we still continue to produce and provide technical solutions for the new needs and challenges affecting the market.